A full century later, our picture of World War I remains one of wholesale, pointless slaughter in the trenches of the Western front. Expanding our focus to the Eastern front, as David R. Stone does in this masterly work, fundamentally alters—and clarifies—that picture. A thorough, and thoroughly readable, history of the Russian front during the First World War, this book corrects widespread misperceptions of the Russian Army and the war in the east even as it deepens and extends our understanding of the broader conflict. Of the four empires at war by the end of 1914—the Austro-Hungarian, Ottoman, German, and Russian—none survived. But specific political, social, and economic weaknesses shaped the way Russia collapsed and returned as a radically new Soviet regime. 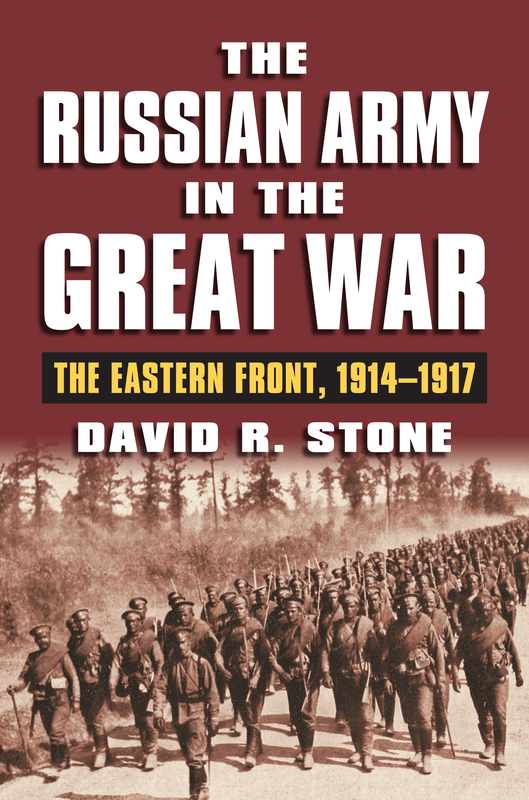 It is this context that Stone's work provides, that gives readers a more judicious view of Russia's war on the home front as well as on the front lines. One key and fateful difference in the Russian experience emerges here: its failure to systematically and comprehensively reorganize its society for war, while the three westernmost powers embarked on programs of total mobilization. Context is also vital to understanding the particular rhythm of the war in the east. Drawing on recent and newly available scholarship in Russian and in English, Stone offers a nuanced account of Russia's military operations, concentrating on the uninterrupted sequence of campaigns in the first 18 months of war. The eastern empires' race to collapse underlines the critical importance of contingency in the complete story of World War I. Precisely when and how Russia lost the war was influenced by the structural strengths and weaknesses of its social and economic system, but also by the outcome of events on the battlefield. By bringing these events into focus, and putting them into context, this book corrects and enriches our picture of World War I, and of the true strengths and weaknesses, triumphs and successes of the Russian Army in the Great War. David R. Stone is Pickett Professor of History at Kansas State University. He is the author of A Military History of Russia: From Ivan the Terrible to the War in Chechnya and Hammer and Rifle: The Militarization of the Soviet Union, 1926–1933 and editor of The Soviet Union at War, 1941–1945.